Projectors can be a great way to add a larger screen capability to your home theater set-up, both because they’re less bulky than a traditional television and because the cost per inch is typically lower. Just like with TVs, though, not all projectors are created equal. Whereas the price points of televisions are typically based on the size of the screen, with projectors it tends to be more about the picture quality. A $200 projector can give you a large picture, but if you’re looking for a screen-quality image, you’ll want to go with something on the high-end side of the spectrum, like the DLA-RS400 from JVC. The JVC RS400 is not a completely new projector, but it’s recently received some significant updates that mean it might as well be an entirely new device. Included in these updates are compatibility with 4K UltraHD as well as High Dynamic Range (HDR). It also has two full-speed HDMI 2.2 inputs, giving you access to a wider range of sources for your content. Improvements to the pixel control capabilities and the enhanced motion drive are the last pieces of the puzzle that make this a much better system than the last version. It also supports a variety of 3D content formats. 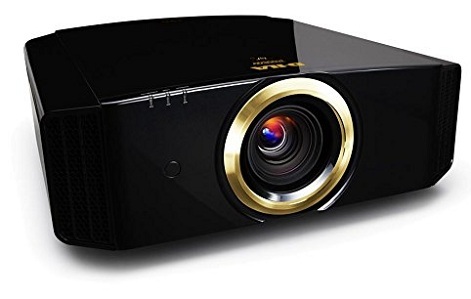 Even if you don’t plan to take advantage of that now, the fact that the projector is on the front edge of visual technology means it will serve you well for longer before you need to upgrade. Image Size 60.0" - 199.6"
Now let’s get this out in the open up front: this is not a true 4K UltraHD projector (>>> Check full 4k projectors guide). It uses a system known as pixel shifting to achieve the same level of clarity that you’d get with a true 4K display. Resolution isn’t necessarily the most instrumental factor in getting a good picture from a projector. Equally important are the brightness and the contrast ratio. On those points, this JVC out-performs most 4K projectors, meaning it will ultimately look clearer than the higher-resolution devices. We’ll start with the contrast, because that’s really where the JVC RS400 stands out. It has a native contrast ratio of 40,000:1. This is a measure of the difference between the brightest bright and the darkest black. Most TVs and projectors will give you a contrast ratio of between 1,500:1 and 3,000:1, and while this is plenty for an LCD display with a screen in the 40” or smaller range, this just won’t cut it for a projector’s design—and this gets truer the larger you want the image to be. This higher native contrast ratio means brighter colors, sharper images, and an overall better viewing experience. The brightness of the bulb is a factor in this as well. JVC has upgraded the lamp compared to previous versions of the projector. The high-powered version of the lamp you’ll get here gives you a brightness of 1,700 lumens. Again, this is brighter than many projectors, which often top out at around 1,200 lumens. This extra bit of oomph is the perfect amount, making it bright enough you can still see what’s on your screen in normal indoor lighting conditions, but not so bright that it will hurt your eyes if you use it in a darker space. Maybe the most impressive thing about this model, though, is that you’re not stuck with the stats that were given above. You can adjust the contrast and the brightness to suit the lighting levels in your viewing space. The projector can remember five settings for the zoom, focus, and positioning of the lens so you can quickly switch from one screen size to another without a lot of tedious adjustments. The color adjustment settings have also been simplified over previous versions, and a quick tour of the manual will show you the many ways you can customize what you see on the screen. 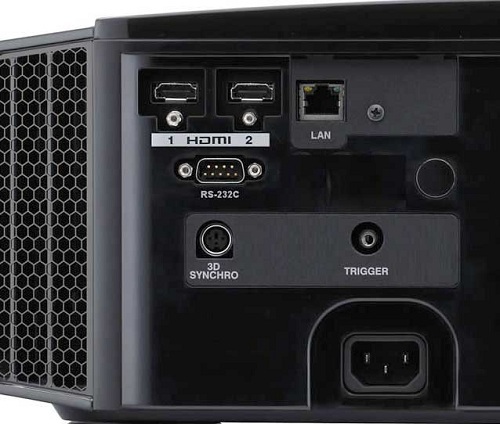 Basically this is a high-end projector that’s still easy to use for someone with limited to no experience in A/V systems. All of these great features come at a price, of course, and while the cost of the projector is the bulk of what you’ll need to budget, you’ll also need to factor in things like a screen to project onto and external speakers. You can definitely get a projector for a lot cheaper. But if what you’re looking for is theater-quality content in the comfort of your own home, the JVC DLA-RS400 delivers—and in our minds, it’s well worth the expense.